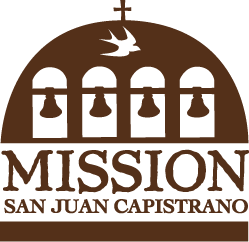 The miracle of the “Swallows” of Capistrano takes place each year at Mission San Juan Capistrano, on March 19th, St. Joseph’s Day. Swallows migrate 6,000 miles from Goya, Argentina to San Juan Capistrano in large groups. 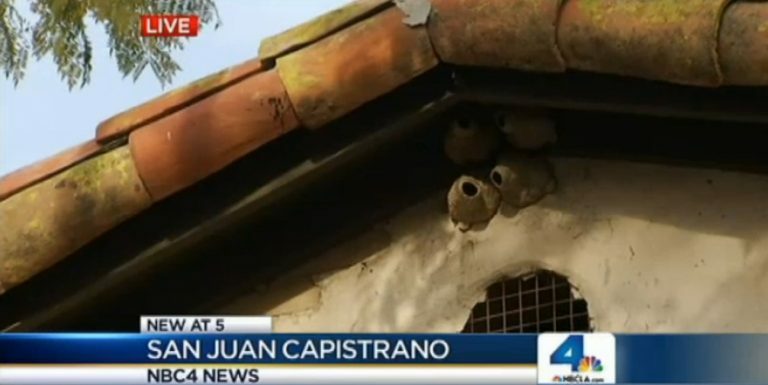 The town of San Juan Capistrano welcomes visitors from all parts of the world to witness the return of the swallows, a tradition that has been celebrated since the early 1930s. 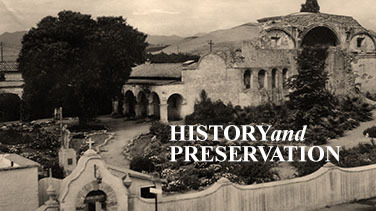 In his book, Capistrano Nights, Father St. John O’Sullivan, Pastor of Mission San Juan Capistrano (1910-1933) tells the story of how the swallowscame to call the Mission home. One day, while walking through town, Father O’Sullivan saw a shopkeeper, broomstick in hand, knocking down the conically shaped mud swallow nests that were under the eaves of his shop. The birds were darting back and forth through the air squealingover the destruction of their homes. The very next morning, Father O’Sullivan discovered the swallows busy building their nests outsideFather Junípero Serra’s Church. Join us for St. Joseph’s Day and Return of the Swallows Celebration annually on March 19th! We are celebrating the Return of the Swallows. 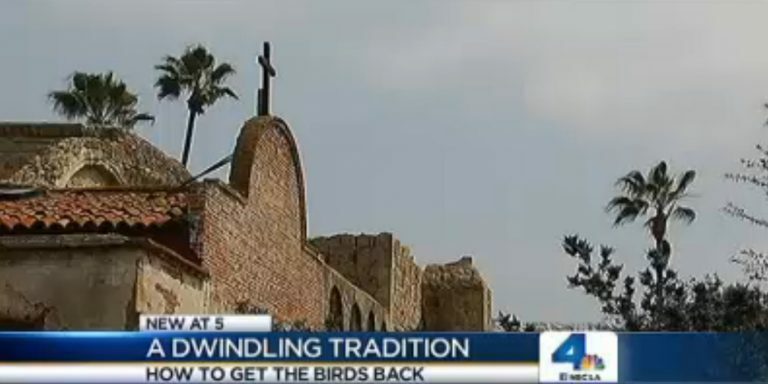 They are finally back nesting at Mission San Juan Capistrano! Learn about the efforts to lure the birds back. Before urbanization, Mission San Juan Capistrano was the main and largest building in the community, which is why the swallows continued to return every March. The development of the community, and the stabilization of the Ruins of the Great Stone Church, where the swallows nests were removed by preservationists, created alternative locations for the swallows to build their nests apart from the Mission. As a result, the number of swallows returning to the Mission each year began to decline. 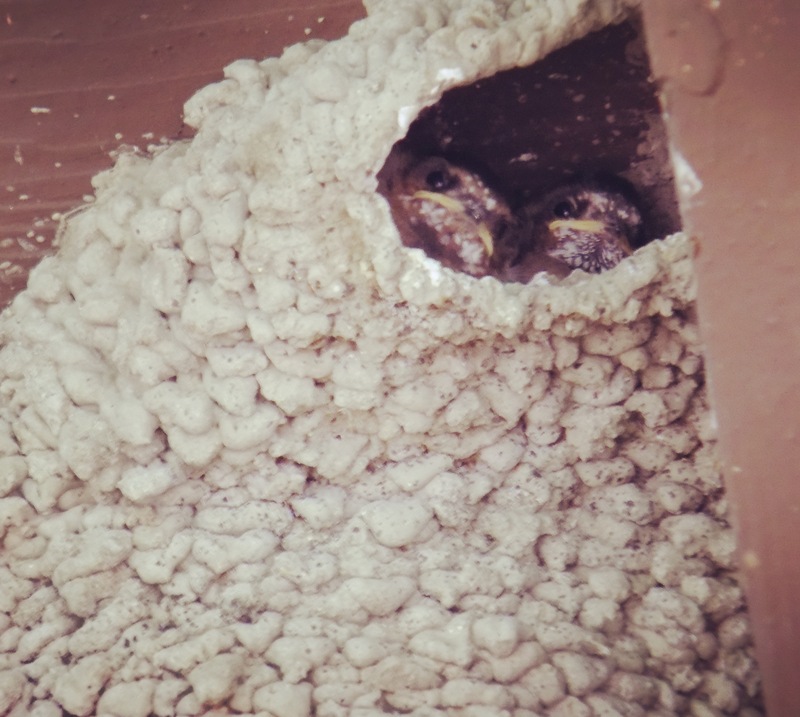 In 2010, in response to concerns about when the birds arrive and where they choose to nest, we sought the help of cliff swallows expert Dr. Charles R. Brown, a professor of biological sciences at the University of Tulsa, who has studied more than 200,000 cliff swallows over the years. 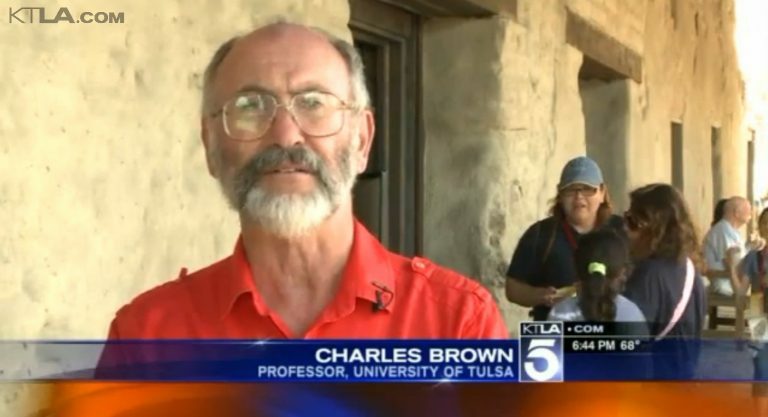 Dr. Brown was invited to present a lecture during the St. Joseph’s Day & Return of the Swallows Celebration (his lecture has become an annual tradition). 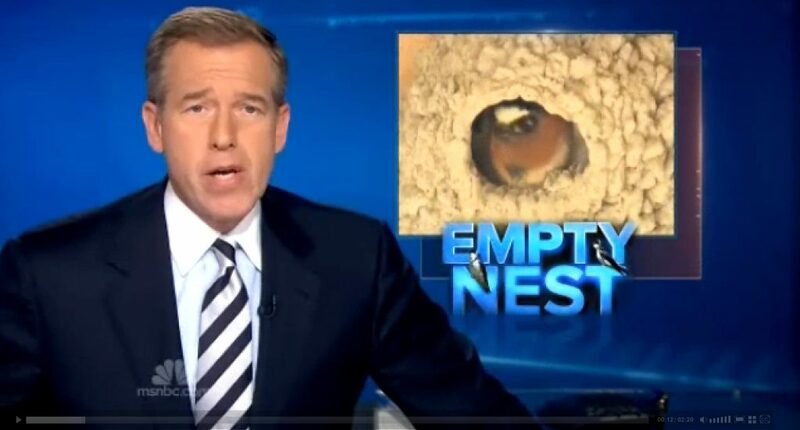 Shortly after, in collaboration with Dr. Brown and Executive staff at the Mission, we began an experiment on the Mission grounds in an effort to lure the birds back to nest. 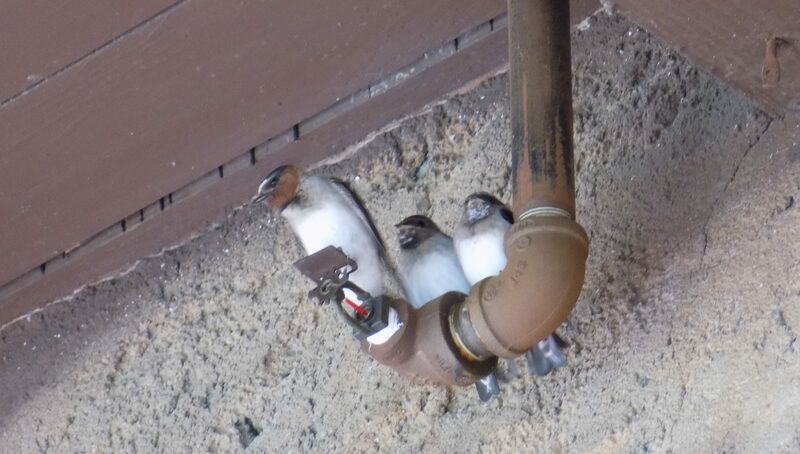 In 2012, Phase I: The Vocalization Project was launched, in which recorded courtship calls were played through a speaker on Mission grounds to lure the cliff swallows that were flying overhead. According to Dr. Brown, evidence suggests the vocalization playbacks bring in passing cliff swallows that fly over the site. 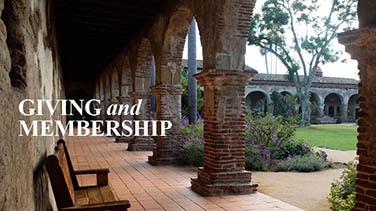 Visit the Swallows Reenactment Exhibit to learn how Mission San Juan Capistrano is working with Dr. Charles Brown to lure the swallows back to nest in abundance. 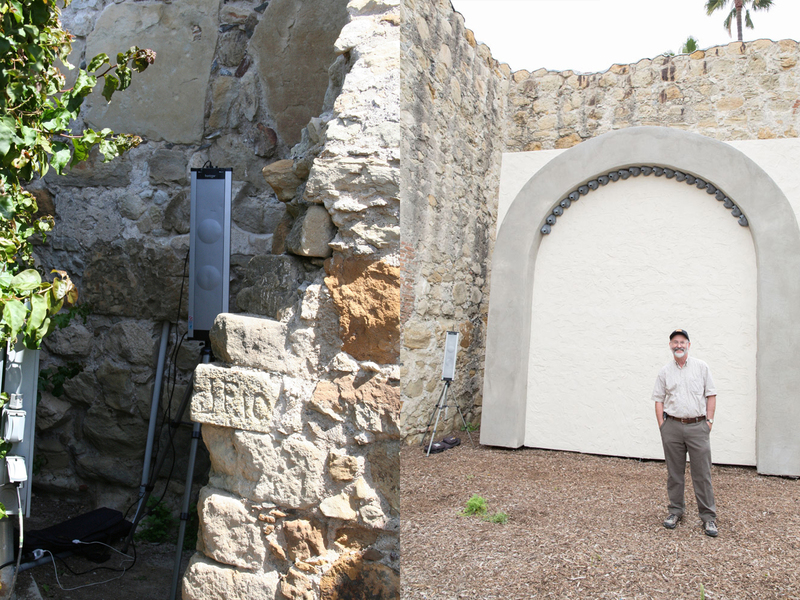 In 2015, again collaborating with Dr. Charles Brown, Phase II: The Nest Reenactment Project was launched, which necessitated the construction of a replica wall of man-made nests in a colony-like setting similar to one that existed on the Ruins of the Great Stone Church prior to its 1990s stabilization. 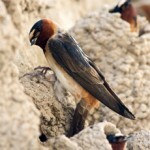 Research shows that cliff swallows prefer to re-use existing nests. Today, the Swallows are back! 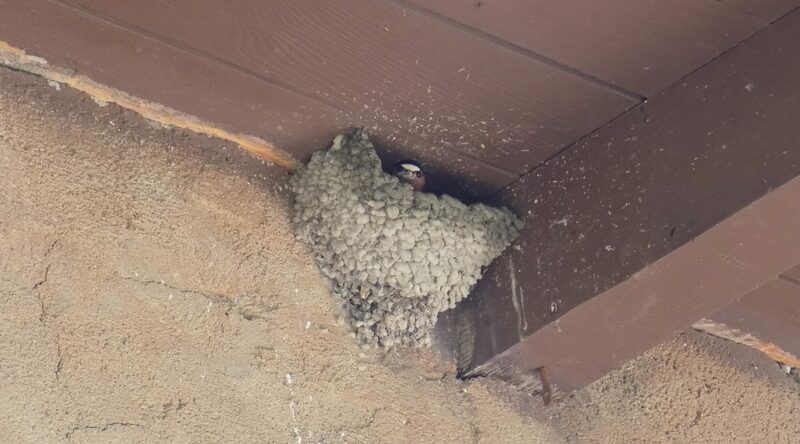 They have finally returned to nest here at Mission San Juan Capistrano!